A couple of weeks ago, I shared a recipe for a Grasshopper Iced Mocha – a refreshing and tasty drink made using International Delight Iced Coffee. I’ve been enjoy my beverage creation almost daily as a lovely treat to help kick off the morning or as an afternoon treat. 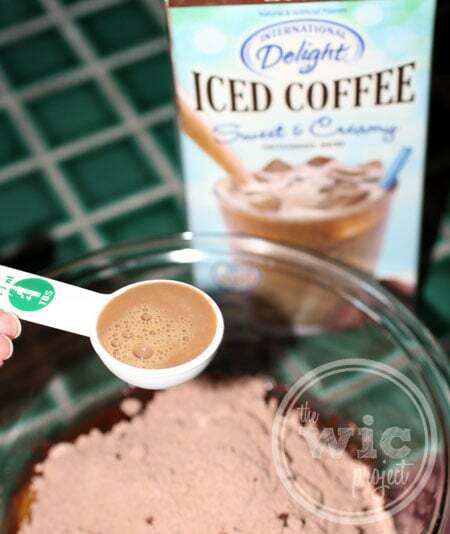 Today, we’re going on a baking adventure by using International Delight Iced Coffee to make some brownies! I’m not sure if it’s just me, but I always find that my “treat” intake increases during the summer. Let’s say it has something to do with the heat and that it revs up your sweet tooth. (That makes me feel better.) I’ve been doing a lot more baking, whether it’s been cookies or muffins and now, brownies. I hadn’t made brownies in awhile, and I had just picked up a new mini-muffin tin, so I decided to make Mocha Caramel Brownie Bites! I’m sure there are recipes for making brownies from scratch, but sometimes when it’s hot or you’re tired (or you’re still earning your baking chops) a boxed brownie mix can work out just fine. Follow the directions on the brownie-package, substituting International Delight Iced Coffee - Mocha instead of water or milk. 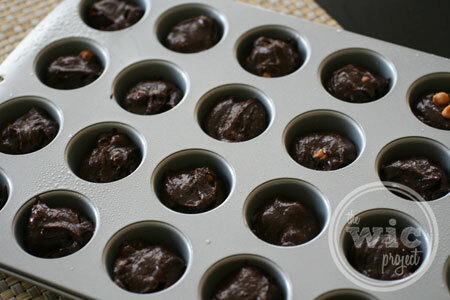 Drop mix into mini-muffin tin - fill each cup to almost full. Cooking times may vary, but start at half the time of the recommended cooking time and increase as needed until brownies are fully cooked. Be careful not to overcook your brownies. 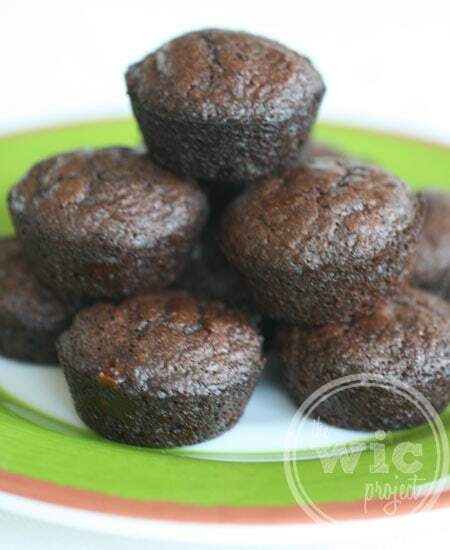 To help get them out of the mini-muffin tins, slide a butter knife around the edge until the brownie bite pops out. First, you follow the instructions on for the brownie mix often found on the back, except instead of water or milk, replace it with an equal amount of International Delight Iced Coffee – Mocha flavor. 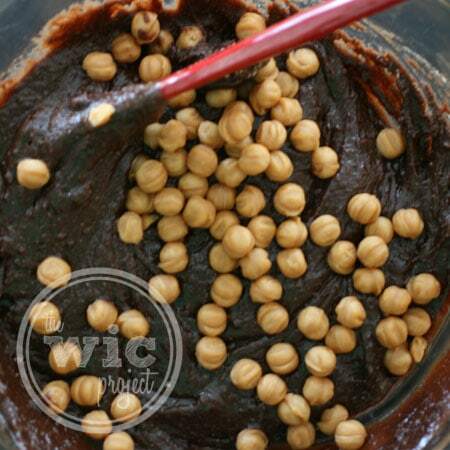 Next, you’ll add the caramel chips, which you can find in the baking section of your grocery store, near the chocolate chips. These melt into nice caramel pockets in your brownie. Feel free to add more/less depending on your taste. After everything is mixed together, drop tablespoon fools of mix into each mini-muffin cup. The snack-sized box was just the right amount for one mini-muffin tray. Bake in the oven, starting at HALF the recommended cooking time for the normal brownies. Check the brownies with a knife or toothpick and add cooking time minute by minute until the toothpick or knife come out cleanly. Be careful not to overcook these bites. After they’re cooked, allow them to cool in the tin. If you need a little help getting the brownie bites out of the tin, use a butter knife around the edge to help pop them out. I love these brownie bites. No seriously, they are amazing. The mocha flavor isn’t too strong and blends beautifully with the caramel and the fudge flavors from the brownie. 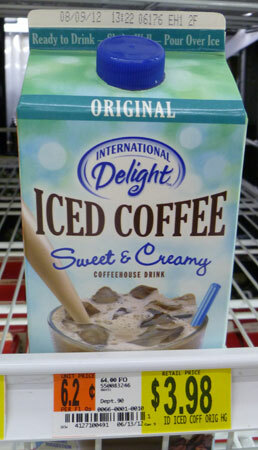 If you want more of a coffee flavor, I suggest using the International Delight Iced Coffee Original, or using a little more of the International Delight Iced Coffee – Mocha with a little bit of flour so it doesn’t get too runny. You can use International Delight Iced Coffee in most baking recipes as a milk or water substitute. This is such an easy way to add more depth and flavor to your baked goods. 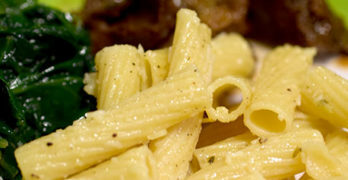 Let me know if you try this recipe or another using International Delight Iced Coffee! I love brownies sooooo much!! Hey, even I can do this! I love this idea – gotta’ try – thanks! yummmmm. 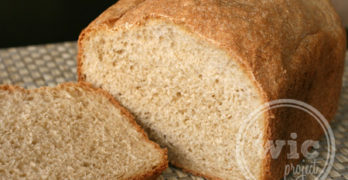 TTY for sharing this easy recipe!!! It looks delicious! I love it. Thank you for the recipe. I tried this recipe and it was a hit. Oh my!! Thank you for sharing…definitely gotta try this one!! Ohhh those look yummy!! Dont know y but i always have to go look at the yummy stuff! 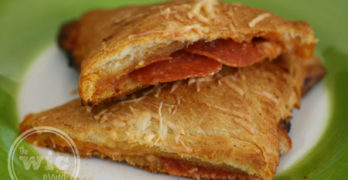 My daughter would love these, and it’s a really simple recipe that she can do herself..
DROOL! Save one for me! !